IN RECENT MONTHS, Canadian crude oil prices have dropped relative to other international benchmark prices, costing the economy billions in foregone revenues. The recent increase in the Western Canada Select (WCS) price discount compared to West Texas Intermediate (WTI) is largely due to Canada’s insufficient pipeline capacity. The result is increased crude shipped by rail and higher transportation costs. Between 2009 and 2012, the average price differential was $13 a barrel. However, in February 2018, the differential reached $34 a barrel, which is a striking increase of two-and-a-half times. This increase in the price differential reflects Canada’s lack of transport capacity and restricted market access. Despite growing oil production in recent years, Canada hasn’t built any major pipelines, resulting in excess oil production and lack of transport capacity. There aren’t enough pipes to move Western Canada’s crude oil. TransCanada’s Energy East and Eastern Mainline projects were cancelled due to a number of factors, including significant red tape. 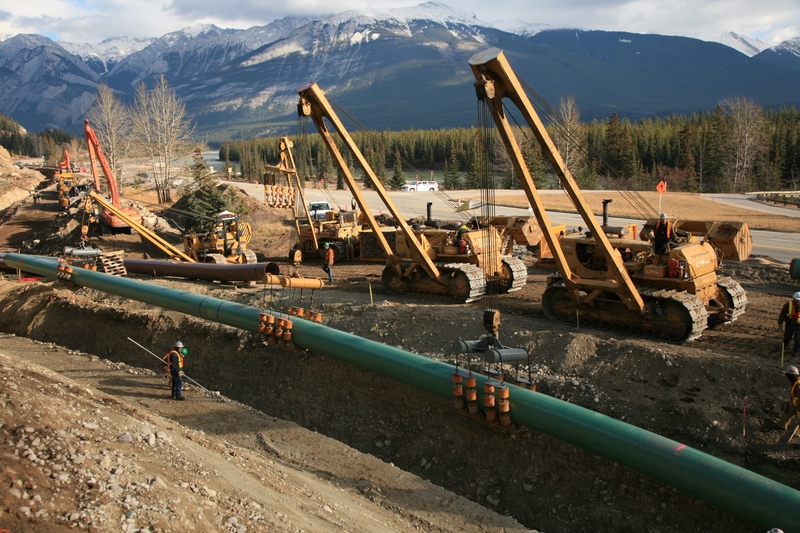 And despite receiving regulatory approval, Canada’s remaining pipeline projects – the Trans Mountain expansion, the Line 3 Replacement Project and Keystone XL – continue to face delays due to market uncertainty, environmental and regulatory concerns, and political opposition. For example, B.C.’s government, led by Premier John Horgan, is blocking the Trans Mountain pipeline expansion despite federal government and National Energy Board approvals, prompting Kinder Morgan to suspend all “non-essential” activities and “related spending” on the project indefinitely. Meanwhile, insufficient pipeline capacity has increased oil shipments by rail – a more expensive and slightly less safe mode of transportation – leading to higher costs for Canadian producers. Increased crude-by-rail traffic has also created a new problem for oil producers: they now struggle to compete with farmers and grain companies for space. In fact, rail companies recently cut back on shipping crude to free up capacity to ship grain, leaving oil products stranded. To make the matters worse, rail companies now demand much higher rates “to move oil because they fear the business will evaporate once new export pipelines come on stream.” According to the recent Financial Post article cited above, rail costs to transport crude from Western Canada to the Gulf Coast may reach US$20 a barrel, which is much higher than previous estimates. Ultimately, higher rail rates mean Canadian oil producers must absorb higher costs – leading to lower prices for Canadian crude. Unfortunately, the current price differential for Canadian crude is likely to remain high until more pipeline capacity comes online. Steep WTI-WCS price differential and high rail costs reaffirm Canada’s critical need for more pipeline capacity. Federal and provincial policy-makers should recognize the urgent need for new pipelines in Canada. In the long run we will find that it is not the prevention of crude oil movement that is more expensive but the very use of crude oil is what will cost so much more. When one can buy Texas crude oil at $66 a barrel, how is Canadian dilbit/bitumen going to compete? The LOOP terminal in Louisiana can load VLCC tankers, which hold 4 times the amount of oil of the Aframax tankers that Vancouver ports use — and Vancouver can’t dock VLCC tankers. So, its not just pipeline vs railcar transport that’s the problem — our bitumen requires far more refining, and we don’t have the tanker size to compete on the world market. If oil was trading at $80 a barrel, the pipeline might be worthwhile, but with an oil glut worldwide, and falling crude prices, Canada is not price competitive without heavy taxpayer subsidies. So… supply is *restricted* due to inadequate transport options, therefore the price falls? This may be the first time where I’ve seen limited supply not triggering a price *increase*. Somebody call John Keynes, because his theories have just been debunked!! More likely that the price differential is a reflection of a growing reluctance to accept Alberta bitumen for refining, because doing so is expensive… and cheaper, lighter oil sources have been discovered recently. Will an excess supply of steak trigger a jump in the price of hamburger?? This article is beyond silly. This is almost ” Fake ” news. They keep saying ” crude ” oil, but it is not. It is Dilbit, that needs nasty chemicals to thin it so it will flow through pipes. What these so called ” smart ” people will not say to get their agenda out there.